One of the features of Google Analytics is the ability to view the $index value of a certain page, but do you know what it means and how to use it? Remember, it doesn't tell you exactly how much revenue a page earned, it just gives you a rough idea of how valuable that page is in your conversion funnel. I'll show you how to filter out this unwanted data below. Also, as with all metrics, you should not focus on this as a single metric to define the success of a page or website. You need to take into account all of the available metrics when deciding what action to take to improve your website. 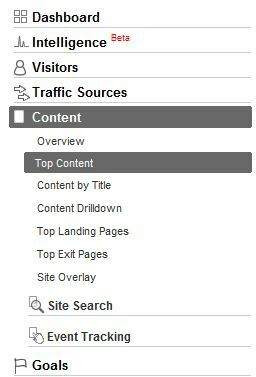 You now have a list of which pages people most commonly visit on the way to your conversion page. This is very actionable data, the example above clearly highlights which pages are performing well below the site average. So we can take a look at those pages and try to work out why this is the case. Sometimes there is a logical explanation for pages having a very low $ index value, which you need to take into account. 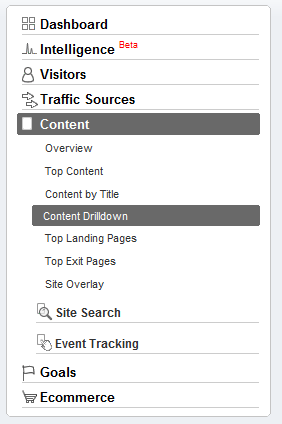 However you can still get some great insights into your content by using this simple method. 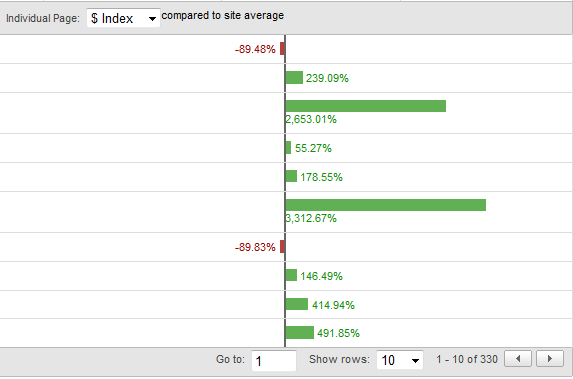 This gives you a quick indicator of how a specific page or section performs in relation to the rest of the site. We'd advise a little caution here though as we're not sure how the site average figure is calculated. We're not convinced that $ index numbers can be averaged, so we'd advise caution on this point. If I'm being honest, I have always struggled a little to come up with unique and meaningful uses of the $ index metric. Most of the data it reveals are generally available through other parts of analytics. So if you have any other uses for this metric, feel free to leave a comment below.